For more information visit the IDEAlliance website. Idealliance® Digital Press Certification Program certifies the capabilities of commercial production xerographic and inkjet devices to meet specific print standards. 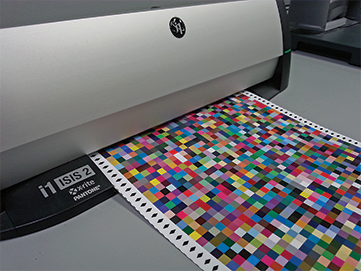 The program consists of testing and certification in areas of color, print properties and print production. The program considers the entire press system, including the digital front-end, print engine, and paper. G7® is Idealliance’s industry-leading set of specifications for achieving gray balance and is the driving force for achieving visual similarity across all print processes. G7 Master Qualification is granted to a facility proven capable of performing G7 by a certified G7 Expert. Print facilities seeking G7 Master Qualification use the services of a certified G7 Expert to submit press sheets for G7 validation, which are processed by the Rochester Institute of Technology’s Printing Arts Laboratory, and g7 Masters are then listed in the Idealliance Certification Directory HERE. The Idealliance G7 System Certification Program evaluates the ability of a software system to calibrate a printing device to meet the G7 grayscale definition using four 1-D Curves. Certified systems submit their systems for evaluation to the Rochester Institute of Technology’s Printing Arts Laboratory for validation and certified systems are then posted to the Idealliance website HERE.